Predators of adult blue jays include falcons, owls and hawks while nestling blue jays may become prey to snakes, crows, squirrels, raccoons, cats, other blue jays and birds of prey. When a nest is in jeopardy, both blue jay parents sometimes unite to attack or chase off predators. 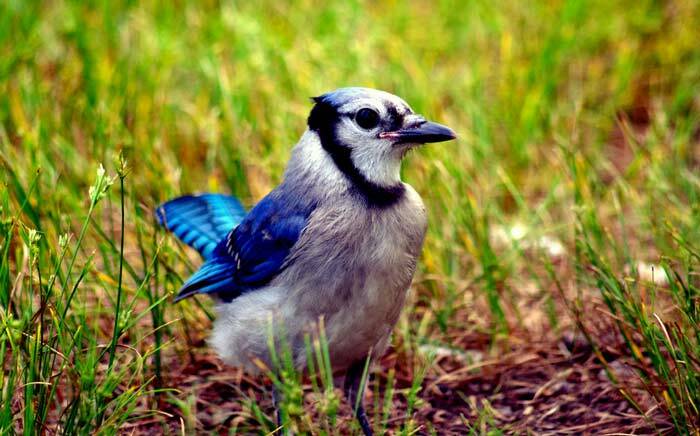 The blue jay preys on frogs, mice and other nests where it eats bird eggs and small songbirds. It also eats nuts, insects, seeds and fruits. The blue jay is also known to frighten other birds in order to make them drop the food they have. Interestingly, blue jays cache food away for future meals.